Wearable Map of the Solar System, with Pluto! Return to Pluto's glory days as an official Planet! Gemstone Planets and Sun are enlarged for dramatic emphasis*. 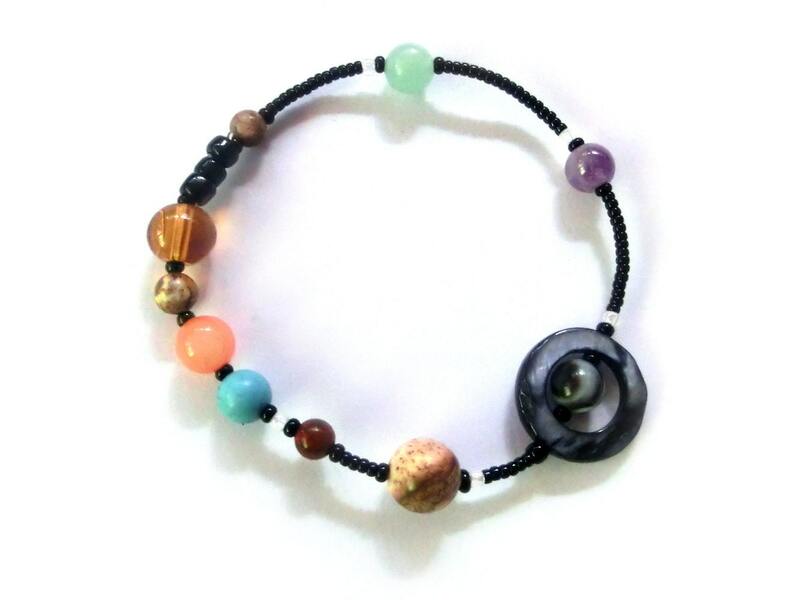 A Diagram of the Solar System is included with each bracelet, detailing the Distance Measurements and Gemstones. I got the MiniVerse elastic bracelet and am in love. The black beads are smaller than I originally thought which is a great thing because the planets stand out! 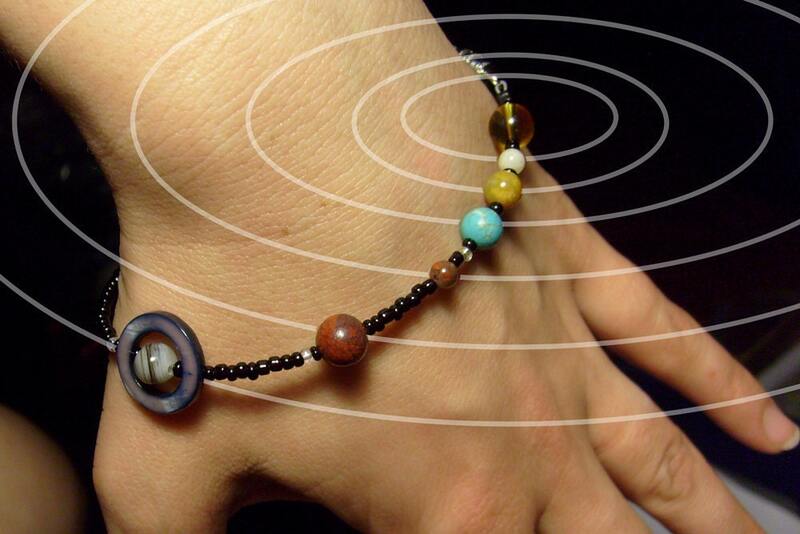 I’m a huge astronomy nerd so I’m obsessed with this little wearable view of our solar system! My order had an issue with shipping, but the seller was incredible and so helpful about everything. Highly recommend! Amazing bracelet, really nice quality. Looks even better in person. Was a Christmas gift for college student learning about planetary science she was absolutely thrilled!